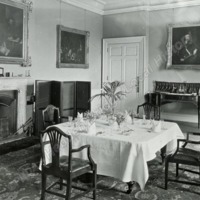 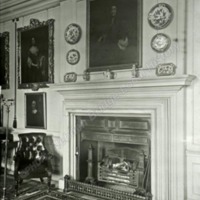 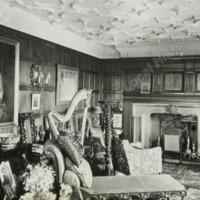 Slide 8 - The Dining Room is also furnished with old time furniture, and the walls are hung with fine paintings, and amongst the most notable of these, is one over the side-board, which is a portrait by Vandyke. 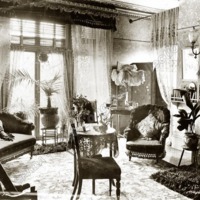 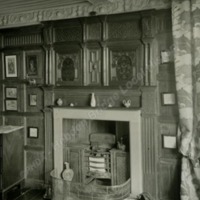 Slide 7 - Here we have another one showing a similar mantle-piece at the West end of the same apartment. 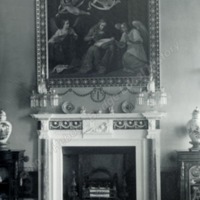 Over each of these is a fine wall painting identical in size, but different in subject. 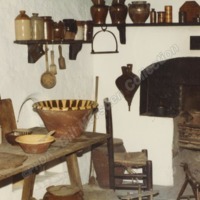 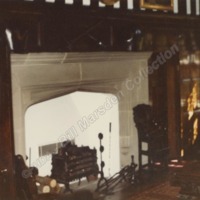 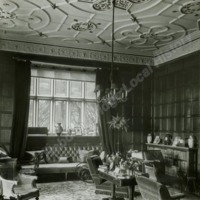 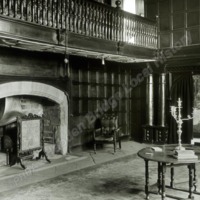 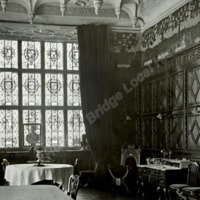 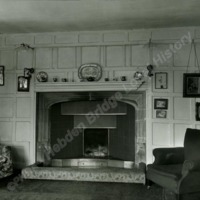 Slide 11 - Inside more than one of the bedchambers the Jacobean character of the architecture is fully preserved. 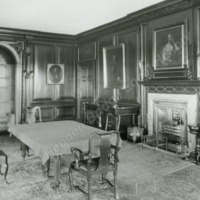 This room, no doubt, was originally an upstairs parlour and has oak wainscoting to the walls with long fluted panels as a frieze. 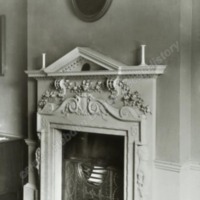 Slide 6: In another bedroom inside the Hall is a fine white marble matelpiece, beautifully carved and of pleasing design. 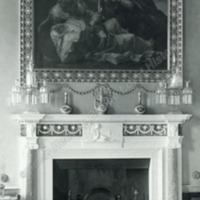 Note the two candle holders on top of the mantelpiece, carved out of the solid marble. 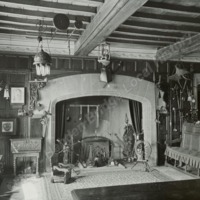 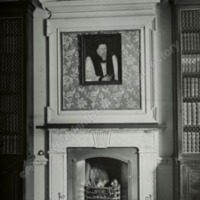 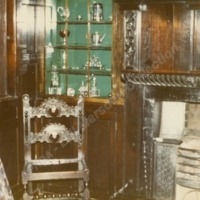 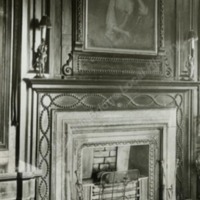 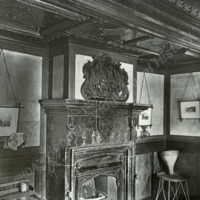 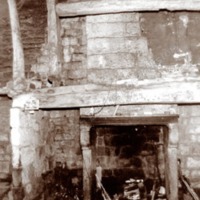 Slide 14: A view of the mantelpiece showing it more in detail. 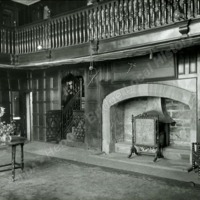 Slide 7 - Entering by the porch we are conducted inside the house, and shown the Library, a spacious and well-furnished apartment.